Jeb Corliss, Roberta Mancino and Chad Kerley have committed to another term with top POV camera pioneer, GoPro. All three athletes have been official with the company for several years and this new contract solidifies the relationship further. Look for GoPro to be the official camera for the three athletes and for a ton more POV footage from all three as they prepare for world class competitions, projects and edits. Congrats Jeb, Chad and Roberta. 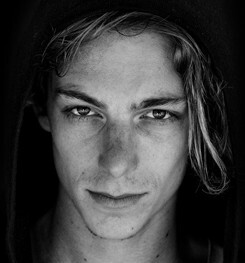 After a brief hiatus, RPRT would like to welcome back Ben Nordberg to the skate roster. Ben has had a great year booking modeling jobs for the likes of Burberry and DKNY and has created demand for his look in the fashion industry. To start off, Ben will be doing a social media/youtube campaign for American Rag which he booked through RPRT. Also read about Ben in today’s WWD article on athletes and fashion HERE. You are currently browsing the rprt: talent management, pr/marketing, events and branding blog archives for January, 2015.